Fifty-seven Centre-owned thermal power plants in some of India’s most polluted areas now have 28 months to reduce their emissions. India’s Supreme Court has ordered the Centre to prioritize public health over cheap power, and reduce SOx and particulate matter (PM) emissions from these coal-fired plants by Dec 31, 2021. A majority of the NTPC- and Damodar Valley Corporation (DVC)-owned units are located in Uttar Pradesh and Bengal. State government and privately owned units have also been ordered to reduce their emissions. The Supreme Court had previously slammed the Centre for allowing India’s thermal power plants time till Dec 2022 to reduce their emissions. The Coal Transitions report by the Indian Institute of Management, Ahmedabad (IIM-A), has hinted that India’s demand for coal could fall by as much as 50% by 2050 if it were to pursue sustainable growth strategies aligned with keeping global warming to well under 2°C. The report also suggests maximizing the efficiency of the country’s existing coal plants and more investment in renewables – to avoid the piling up of more coal-fired stressed assets and bad debts as India undertakes a possibly difficult transition away from its primary source of energy. Japanese energy giant Marubeni Corp. will – in-principle – pull out of building any new coal-fired power plants after publicly acknowledging climate change as an existential threat to humanity. It will also halve its ownership in existing coal plants by 2030 and double its clean energy portfolio to 20% by 2023. 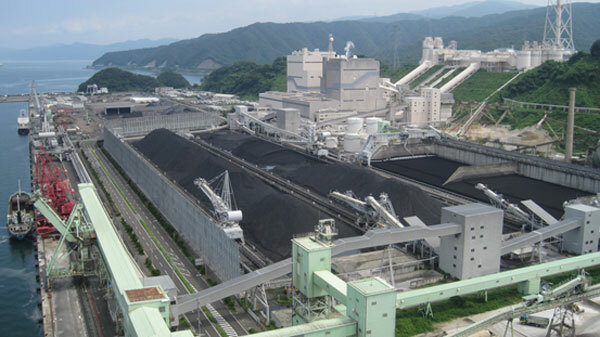 The news could upset global coal supply forecasts as Marubeni has 12GW worth of coal power plants in development across Japan and emerging energy markets – such as Botswana, Mongolia, Vietnam and Myanmar. Amidst reports of Australia’s carbon emissions reaching its highest levels ever, and a gloomy outlook on the country meeting its Paris Agreement targets, comes a ray of hope. The Australian Capital Territory has become the country’s first jurisdiction to join the UN’s PoweringPastCoal Alliance and will be 100% renewables-powered by 2045. This move is significant as Australia’s thermal coal exports have grown 14% since July 2017, even as Pacific island nations urge it to reduce its emissions – which they allege are driving sea level rise and droughts on their islands. US oil and gas firms could be allowed to leak as much as 3,80,000 tonnes of methane into the atmosphere over 2019-2025, as per a proposal by the US Environmental Protection Agency (EPA). The proposal also relaxes rules for how energy firms should monitor and repair methane leaks. The government agency has, however, admitted the plan “may degrade air quality and adversely affect health and welfare”, but would save the industry $75 million in annual regulatory costs. California’s pro-climate governor Jerry Brown has called the proposal “insane” and “bordering on criminality” as methane traps 84 times more atmospheric heat than CO2.